Select your best shot from an indoor studio or outdoor environment of using and posing with KOSE Sekkisei Clear Whitening Mask. Include a creative caption along with the image to share your experience of using KOSE Sekkisei Clear Whitening Mask with others in the community. Share & invite your friends to participate. * To redeem prizes, all winners are required to present an official receipt from any Parkson department store in Malaysia as a proof of purchase. 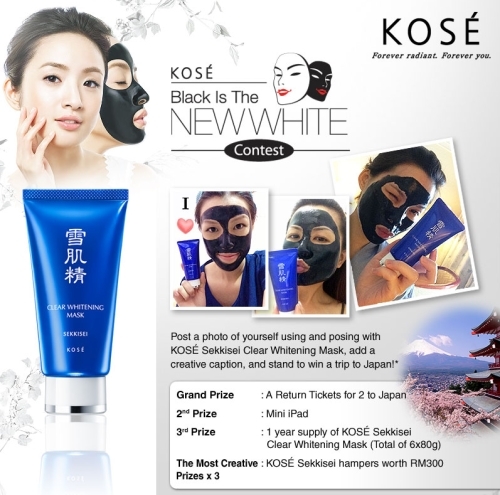 Visit KOSE Facebook fan page for more details.